Apple Cider vinegar, lemon juice, and honey. Mix these with hot water or your favorite tea when you feel even the least bit of a sore throat. You’ll find it soothing, packed with vitamin C and a great preventive mix. Throat lozenges. For quick relief on the run. Chicken noodle soup. It’s the perfect cold and flu comfort food. Buy it pre-made or buy all the ingredients to make it yourself including, but not limited to: chicken, chicken stock or bouillon, noodles, carrot, celery, and potato. Ginger in any form. It helps with stomach upsets. You can get it whole, powered, in capsules, as tea; it’s up to you really. Tissues. You definitely want to stock up on these. Table salt. Add a small amount of table salt to warm water and gargle. The salt will help to disinfect your throat and sooth soreness. Finally, the secret weapon: Maty’s. If you haven’t heard of Maty’s, they are incredible. 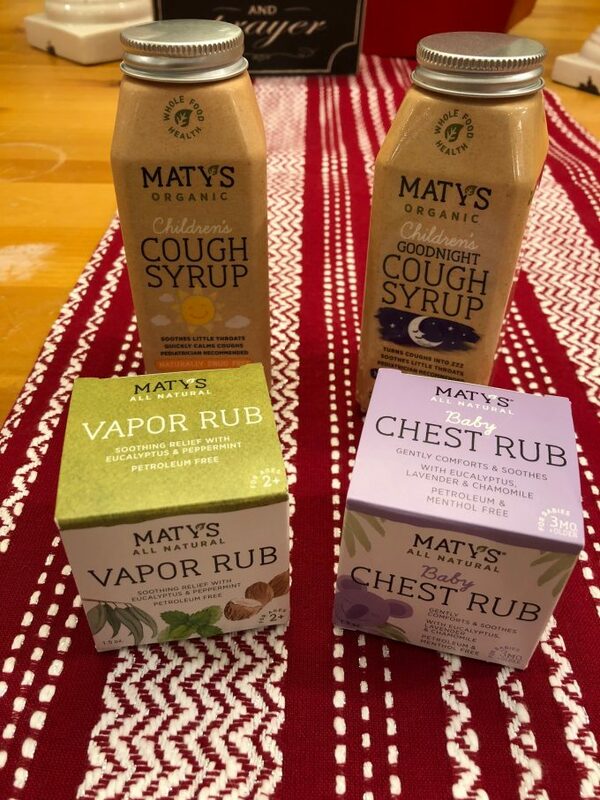 Maty’s was started not by Maty, but by Maty’s mom after traditional medicine didn’t work for her girl. 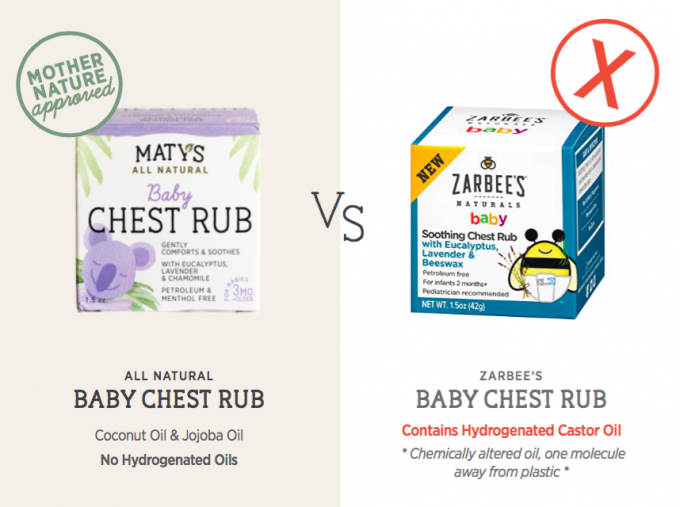 Maty’s mom turned to the inherent wisdom of another –Mother Nature– to create pure, whole food-based formulas. Recipes from simpler times that are even more effective today. All of their products are dairy free, gluten free, alcohol-free, and are not tested on animals. They have a huge range of amazing products (which my family loves!) 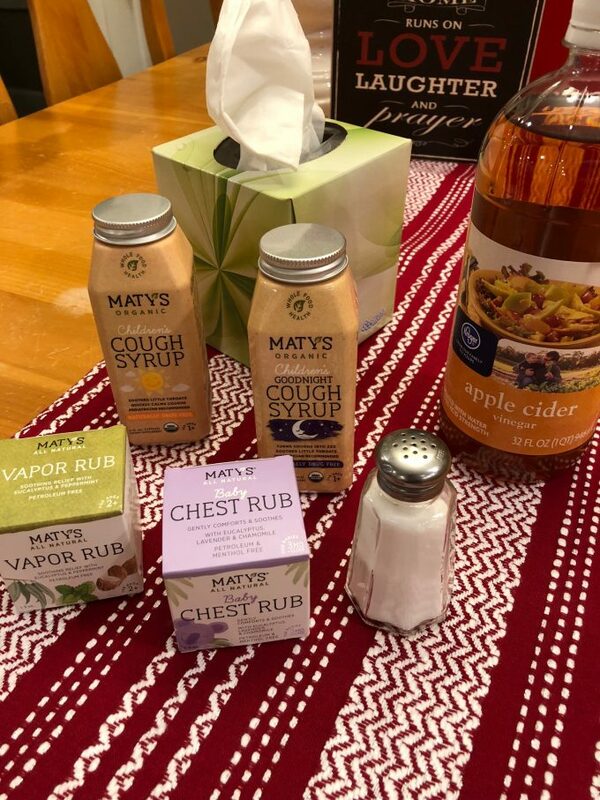 including All Natural and Organic Cough Syrups (including Children’s Cough Syrups), All Natural Baby Chest Rub, and All Natural Acid Indigestion Relief. Seriously, do not be coughing without a healthy stock of these when cold and flu season hits full force, they will change your life! Click here for more information on Maty’s Healthy Products. Disclaimer: I have teamed up with Maty’s in support of this campaign. We received compensation for participation in this campaign. However, all thoughts and opinions are my own.